The move by MYOB is a little confusing – and the acquisition could spell trouble for APS firms. Why would MYOB make this move? APS reached its pinnacle technically several years ago and Reckon has struggled to build a cloud based platform. MYOB may be buying clients to dissuade new entrants such as Thomson Reuters or GreatSoft. Both companies have plans (some are advanced) to bring their global cloud-based suites to the Asia Pacific market. Securing APS’ market – which would suit these new competitors – could be a smart move. An institutional investment adviser I spoke to theorised MYOB may be planning to lure back buyers such as Sage. MYOB may make an offer it will not refuse so MYOB can free itself from its VC shackles and get back to its knitting – SME and ERP accounting systems. “Owning the market” (ACCC/NZCC take note) would create a nice saleable offer. Until these questions are answered and assuming the regulatory authorities sign off on the takeover, MYOB has the unenviable task of integrating yet another company into its “grow revenue by acquisition not innovation” empire. It is my opinion that firms using APS need to be wary of tax, particularly the season starting from July 2019, 2020 and beyond. The 2018 tax season (should – in theory) be under control at this stage as the software companies have already incorporated into the development cycle any legislative decisions made by parliament. APS reportedly had issues with PLS in their tax release in 2017, so it’s possible that even 2018 will be affected. It is the next raft of legislative changes to compliance that will cause challenges. Many of you might remember the tax-release disaster in the mid-2000s when Xlon/CeeData, was acquired by MYOB a few years earlier. Key people left the company after its sale to MYOB and the impact hit hard, with some firms unable to lodge any returns for many months. But 2019 onwards is my forecast for trouble; the staff that know the intricacies of the solution will most likely have moved on, leaving firms using APS tax in the lurch. Does that mean you have 18 months to spare? No. The immediate risk is for a firm to adopt a wait and see approach. I know of several firms who have started to work with alternate vendors to secure consulting dates into the future as they don’t want to be affected by the anticipated rush once the dust settles. To quote the wisdom of that famous cat Garfield, “Poor planning on your part does not constitute an emergency on mine”. This takeover is a trigger event the likes the industry hasn’t seen for more than 15 years. MYOB and APS are already mixing the message to the market. APS is telling clients it is business as usual – an unfortunate choice of words as this is what caused them to be sold in the first place. MYOB is saying a rebranding will happen soon; clients and the market as a whole will want to hear more. APS firms can only feel disheartened for several reasons. Many firms moved to APS in the first place due to MYOB’s lack of development on its practice software. The current situation rubs lemon juice into an already open wound. APS rapidly became the leader of big-firm practice innovation while MYOB still has not developed anything that really comes close. The takeover will now further delay MYOB’s development on the Connected Practice project as the various divisions come together to begin the process of reviewing, dissecting and merging products / software development teams. 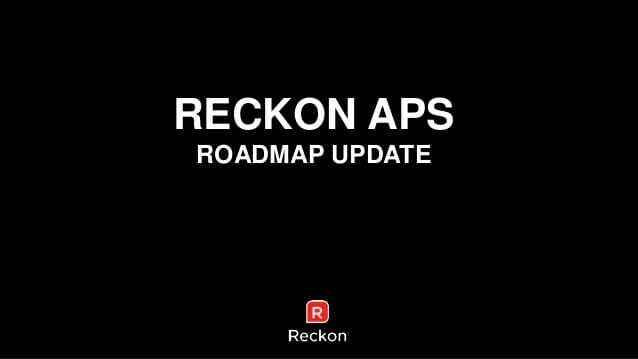 I also expect a lot of key people in ReckonAPS to leave before, during and after this process and no product development for at least another two to three years. ReckonAPS must surely rue the missed opportunities by failing to move to the cloud 10 years ago. APS firms will no doubt be frustrated to learn that their (expensive) monthly maintenance fees – most of which was ostensibly for R&D – has just delivered compliance updates. The rest has been spent funding development of the Reckon One small business accounting product. A component of the sale price has already been directed to supporting this further. The purchase poses additional dilemmas for larger firms watching the explosion of technology adopted by smaller firms. Practice software from Xero, Karbon, Account-Kit, Practice Ignition and many others is making headway into an increasingly busy market. This comes at the expense of firms who bought what was the pinnacle of practice software and expected a long term return. Fortunately there are solutions available that allow the best of all worlds and bridge the gap to stabilise the systems you have with cloud solutions your firm can benefit from. Many vendors are looking to capitalise on this trigger event. Intuit, Karbon, Sage, Scoro, Thomson Reuters, Wolters Kluwer (CCH) and Xero HQ have ramped up their marketing and alliances. From February 2018 onwards expect to see higher levels of activity from these vendors as they vie for attention. All that choice doesn’t help your need to plan ahead for your firm. You need to understand that the best solution is dependent on the size and goals of your firm, as different solutions that can fit better than others. In previous years vendors have tried to be all things to all firms. It resulted in a series of disappointing solutions aimed at capturing as much market for as little spend. The suites had just enough functionality to get a sale – sweetened by the promise of more to come, which typically never eventuated. In the past five years the rise of cloud-based providers has been unavoidable with Xero having close to 600 apps that connect to its ecosystem. No accounting firm has the time to spend searching the ones suitable for firms. You need to either dedicate a team in-house (which typically fail quickly – a future story as to why) or engage a virtual CIO who sees firms of all sizes and the understands the tools that work for each. What to do next? With the future cloudy (pun intended) I have been assisting firms of all sizes from getting a basic understanding of the current market to full strategy reviews.If you are either a Reckon APS user or a MYOB AE/AO user, it is wise to prepare for a tsunami of change. If you are not prepared for it you run the risk of being left behind. Gather information, don’t rely on vendors alone to give you comfort – all they want to do is either sell you something or retain you as a client – so will tell you what you want to hear. There are also solutions in the market which can combine cloud based apps and legacy platforms giving you the best of both worlds – the familiar and the tools to compete with cloud based firms. Happy to chat. Unlike many vendors, I’ve been in the Australian tax and accounting for nearly 19 years and can put together a digital strategy review to work out a bulletproof plan for your firm. Alan FitzGerald advises mid-size and large accounting firms on practice management software and strategy. He has worked in practice management tax and accounting software for nearly two decades with Thomson Reuters, APS and Solution 6. As usual Alan, you’re on the money here. The last great industry change (from desktop to cloud) started occurring around 10 years ago and the next three years will see practices move from predominantly full stack vendors into best of breed, all online solutions. There are plenty of opportunities to partner for vendors who put their clients needs and requirements first. Thanks Stuart – solutions such as Karbon are emblematic of a new generation of solutions set to change the industry. Alan, I think the big unknown is Sage. Their new PM software built in Salesforce should be the solution for big firms. It has however been slow to market so 2018 should be interesting. APS has been on the table for a while I am also surprised MYOB bought it. I would have thought MYOB was better to build product and let it die – as Reckon itself will sooner or later. Great article Alan – the real threat to these desktop solutions will be things like GDPR, ISO certification and the upcoming significant changes to security when communicating to the ATO – these old skool (sorry I had to type that) server based apps are history and three years will be about 2 years too late for MYOB. Hi Richard, the gangway is being pulled in, the ropes are being stowed and soon it will be anchors aweigh…..